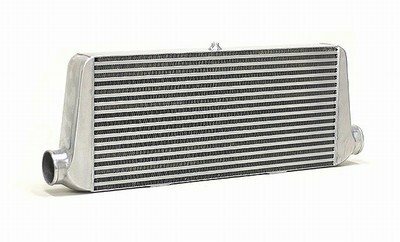 Full aluminum bar and plate intercooler with polished cast end tanks. Design for maximum cooling and efficiency with a pressure drop of .5psi @ 15psi. - End to end length with endtanks: 31"
- Leak tested at 40 psi. - Supports up to 700 hp.